Ever wanted to own a piece of history? How about a piece of something that happened a week and a half ago that didn’t really change much and inspired bitter arguing from all sides, but was ultimately a harmless and fine show of good faith? The world moves fast and history meanders in mysterious ways, in other words: It’s maybe time to dust off your old eBay account. The New York Times reported on Wednesday that this very Friday, at noon, eBay will hold a virtual action for 39 (mostly) black dresses and tuxedos that celebrities wore to the Golden Globes in solidarity with the Time’s Up movement. 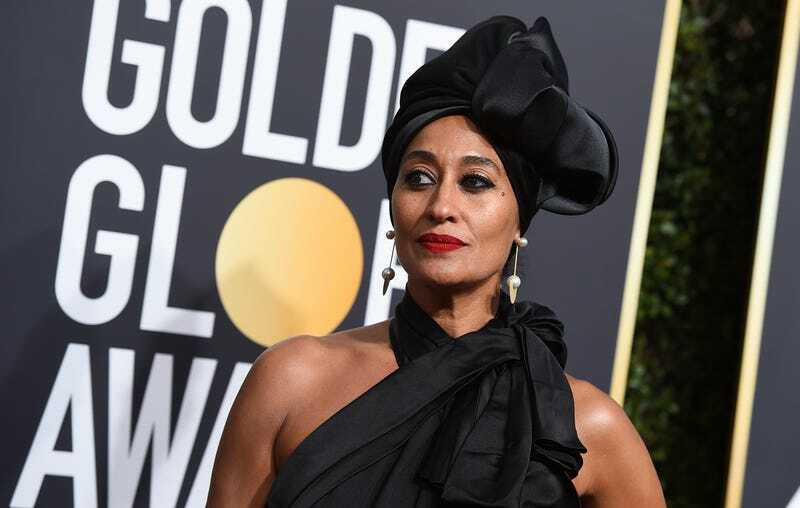 The auction will reportedly feature the one-time wears of Laura Dern, Reese Witherspoon, Tracee Ellis Ross, Meryl Streep, Zoë Kravitz and Seth Meyers. If, like me, you didn’t watch the Globes, but did stalk the beautiful people’s fashion on various roundups (like Jezebel’s own, which was very good), you will recall that Ross served the strongest look, although there was something I particularly admired about Dern’s dress, too. She played the part of diver and diva at once. Minimum bids on all pieces range from $2,500 to $10,000, prices which are suggested by the designers of the various clothing items. Bidding closes after a week. Three dresses will also be given away in a raffle that anyone who’s donated more than $25 to Time’s Up will be eligible to win. All proceeds from the auction will be donated to the Time’s Up Legal Defense Fund. There was no mention in the Times article of James Franco, his Golden Globes outfit being arguably the most notorious of them all.